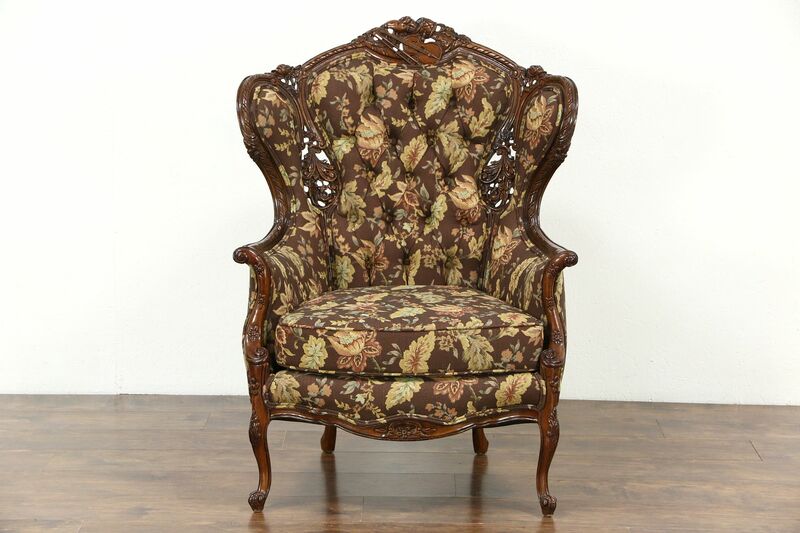 A 1940's music room chair was lavishly carved with violin, drum and rose motifs. The curved and pierced maple frame has been reglued to serve another generation. New tufted upholstery includes a zippered cushion. The restored finish is in excellent condition on this American made vintage furniture. The maker's signature is lost on this large and comfortable wing chair. Dimensions are 33" wide, 42" deep, 45" tall and the seat is 19" high and 22" deep.